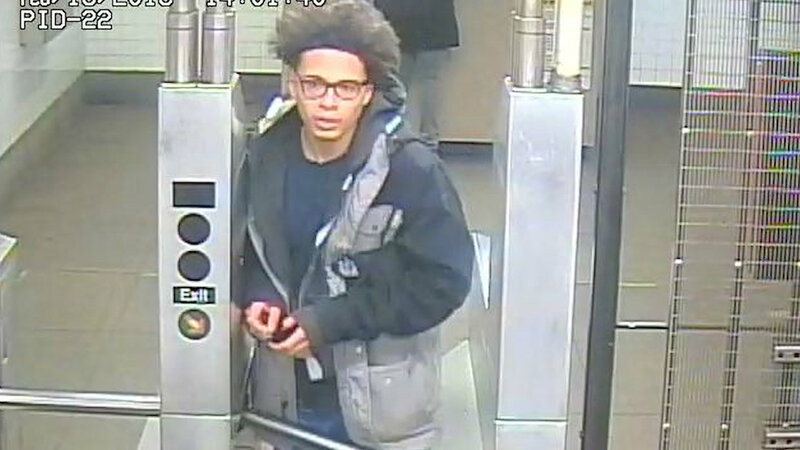 SOHO, Manhattan (WABC) -- The NYPD is searching for a man after yet another slashing in the city - this time in Manhattan. Police released a surveillance video of the suspect on Friday night. The slashing happened just after 2 p.m. near the intersection of Lafayette and Prince streets in SoHo. Sources told Eyewitness News a 21-year-old man had just walked out of Supreme, a store that sells skateboards and sneaker gear, when he was approached by a man wearing a ski mask who demanded his purchases. The victim refused, and the suspect pulled a sharp object from his pocket and slashed the man in the face. The suspect fled in an unknown direction, and police are actively searching for him. "He ran up on him and said, 'give me your stuff,' but he didn't want to give him his clothing," witness Jamal Green said. "SO the guy slashed him and ran. He didn't even get to take the item that the guy got from the store...It was a big cut. It was as wide as your finger. It was open, bleeding a lot." The victim was taken to New York Hospital Downtown with a non-life threatening injury. The store reportedly made its spring/summer collection available starting Thursday. Past release dates have generated long lines and crowds.